Product prices and availability are accurate as of 2019-04-18 04:24:39 UTC and are subject to change. Any price and availability information displayed on http://www.amazon.com/ at the time of purchase will apply to the purchase of this product. 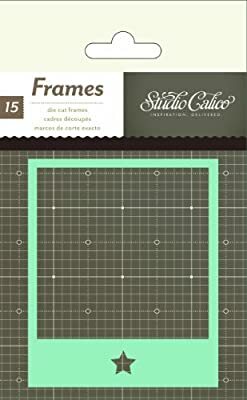 Studio Calico Snippets Die Cut Frames are the perfect way to highlight your favorite photos, phrases or images. This pack includes 15 multi-colored frames each with a unique die-cut accent.